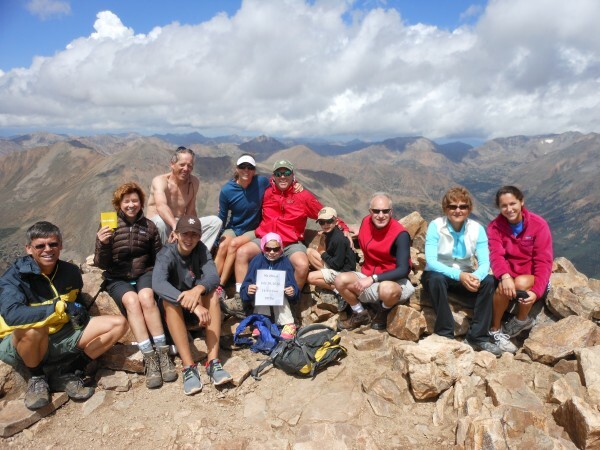 The summit reaches 14,440 feet and is an 11-mile round trip climb with 4,800 of vertical feet of climbing. 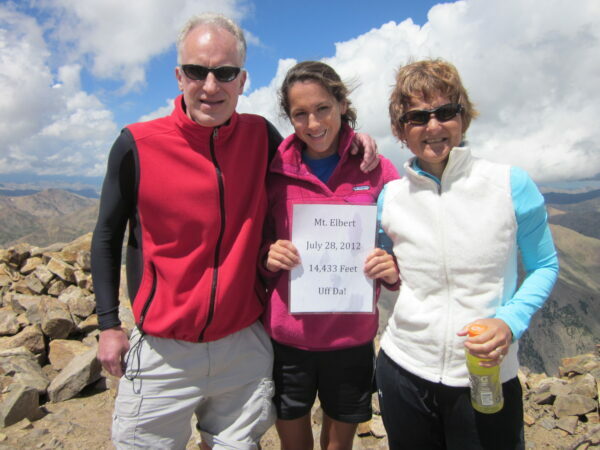 Mount Elbert has a lot to be proud of: At 14,440 ft, Mt. 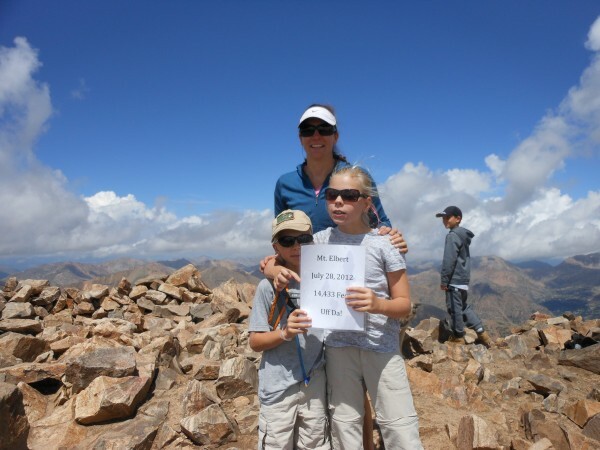 Elbert is the highest mountain in Colorado, highest in the Rockies, and second highest in the contiguous United States. 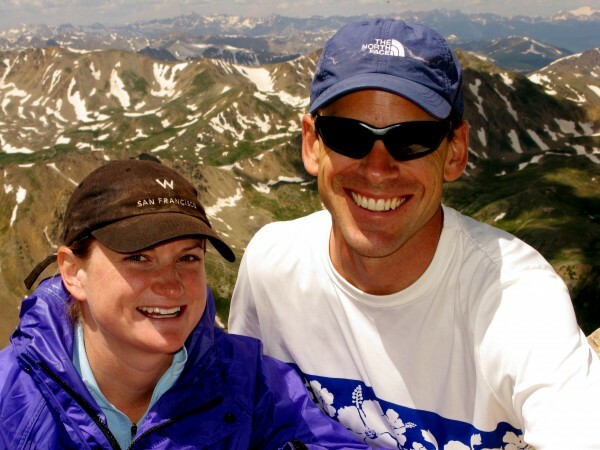 But when you ask a non-climber or someone outside colorado, nobody has heard of it!! 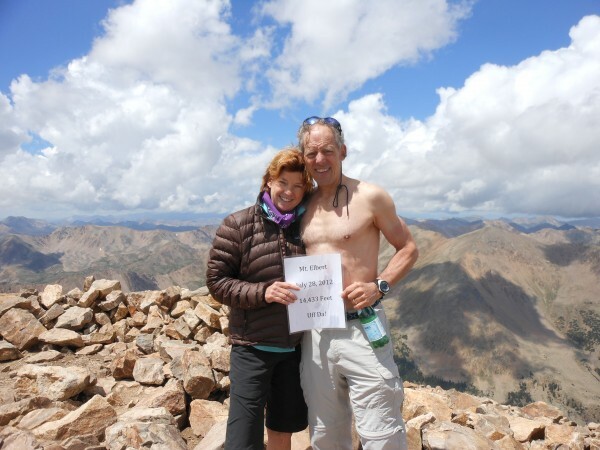 However, Mt Elbert is a spectacular peak and worthy of recognition and respect from all. One of the great things about Mt. 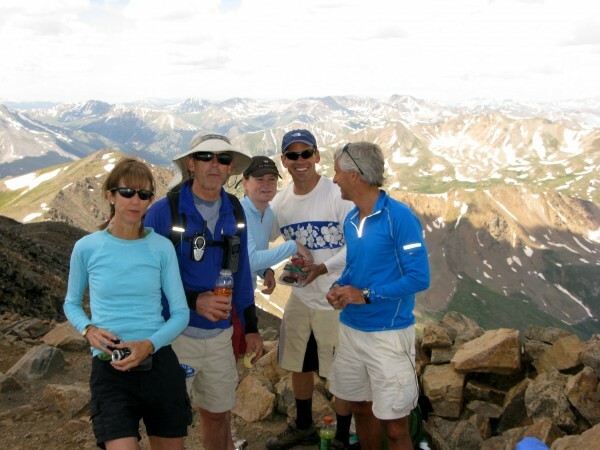 Elbert is the relatively moderate terrine to the summit, allowing anyone with resonable fitness to enjoy the mountain and its status. our group below in the forest. 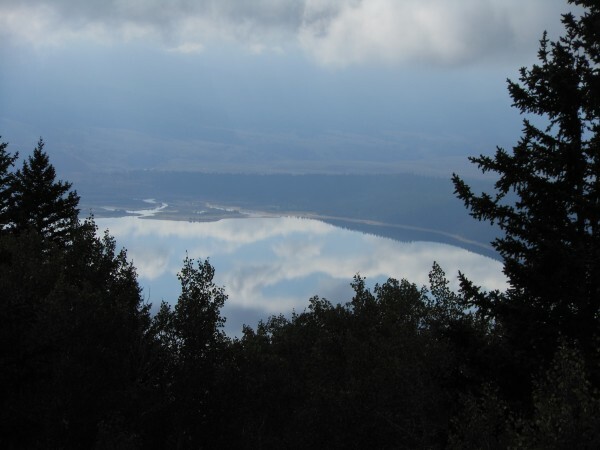 From the pine and Aspen forest we headed upwards through open fields and a look back at Twin Lakes, literally “twin Lakes”. . We hiked along up sloping ground until we reached the tree line at about 12,000 feet. 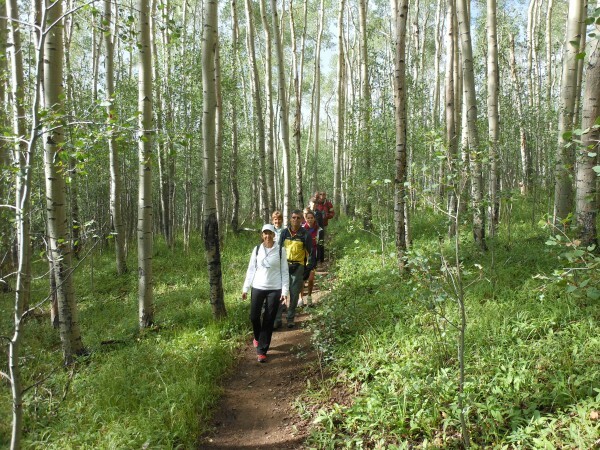 Most of the trails to the summit are well maintained and easy to follow. We try to avoid starting new trails and stick to the established path to minimize impact. 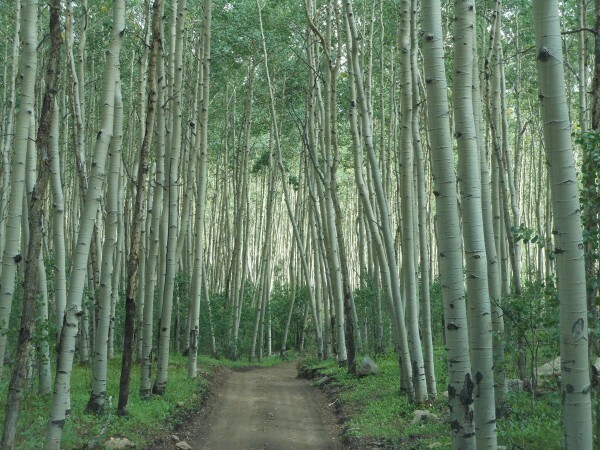 Tree line is at approximately 12,000 ft; therefore, you have about 2400 ft of climbing in weather-exposed terrain. 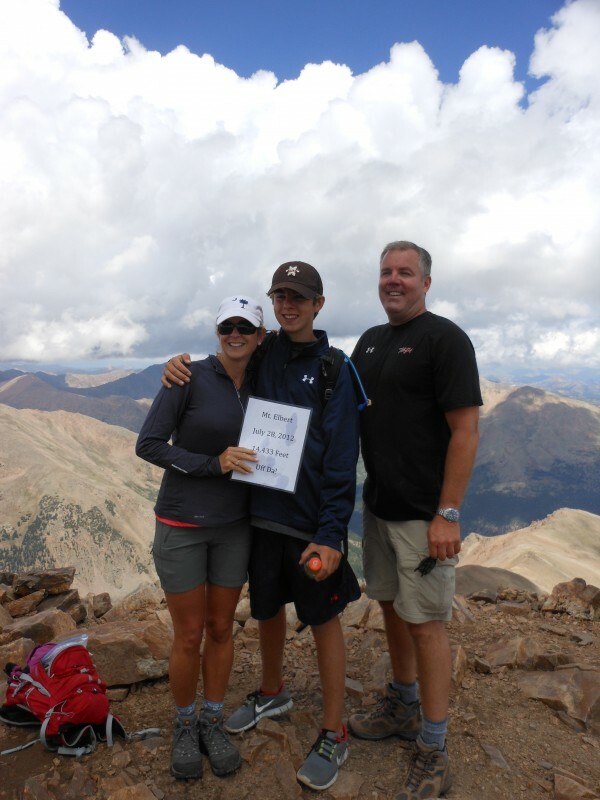 This is us at about 12,000 feet “above tree line” During the summer months, violent thunderstorms are a daily occurrence. 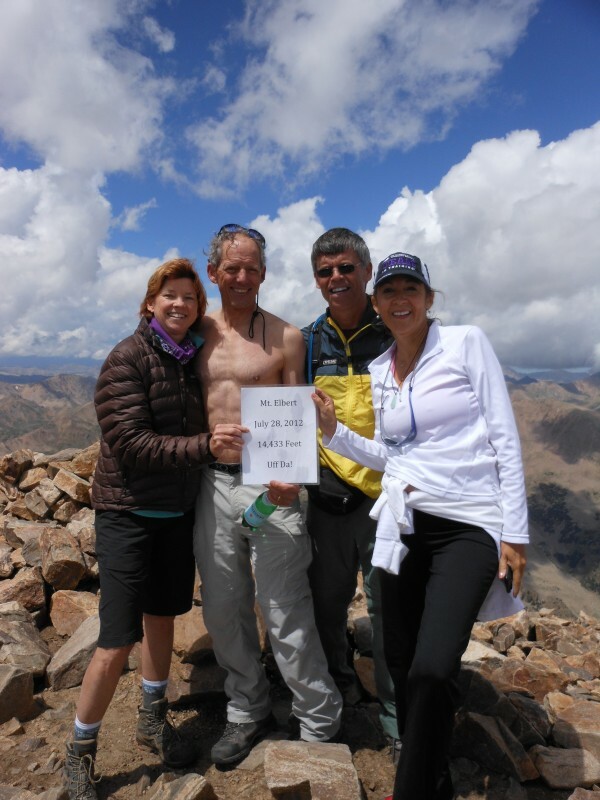 We always plan to be off the summit or ridges by early afternoon to avoid lightning danger. 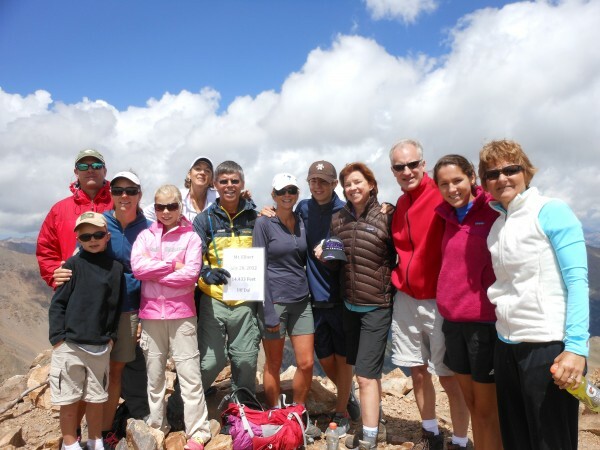 Start very early and allow 6-8 hours for climb and descent. 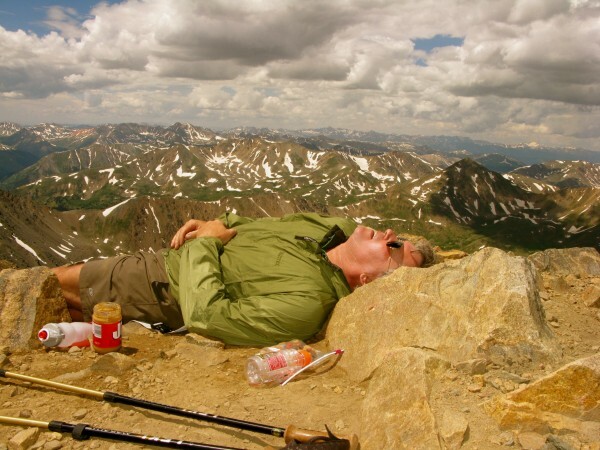 This is a 4,800 foot climb over 10 miles round trip wow smoking cool!!! 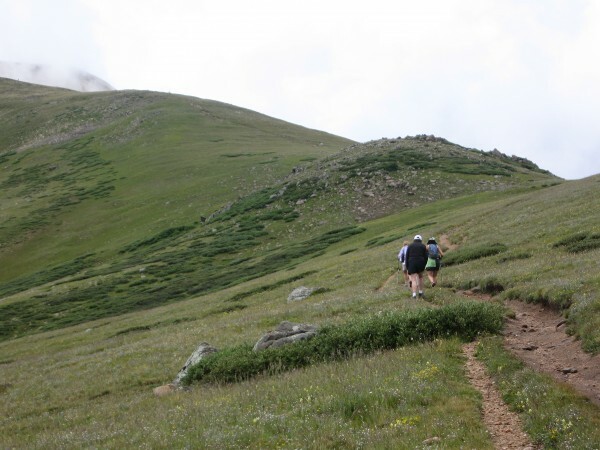 In fact, in some sections above tree line, the trails have become multi-trails where people have started new ones to avoid the deep ruts of the old trails. 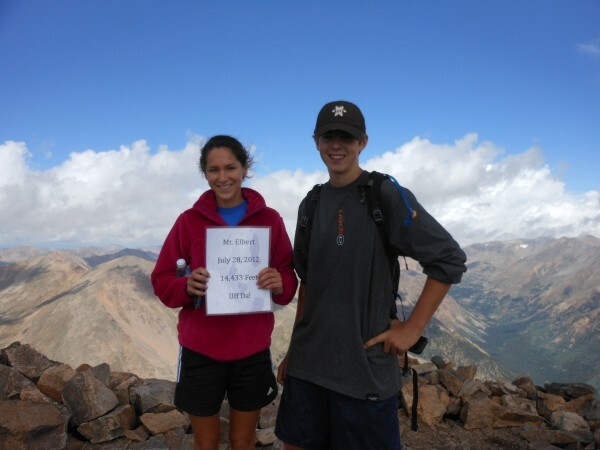 However, experienced mountaineers also climb Mt. Elbert in the dead of winter. It is a popular ski mountaineering destination due to low avalanche danger on several of the routes. 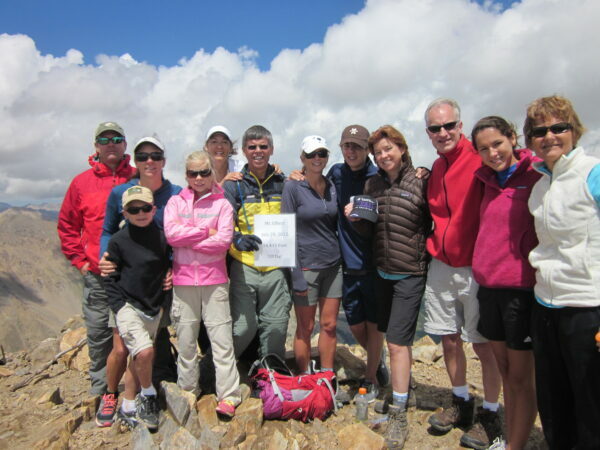 Mount Elbert has a lot to be proud of: At 14,440 ft, Mt. 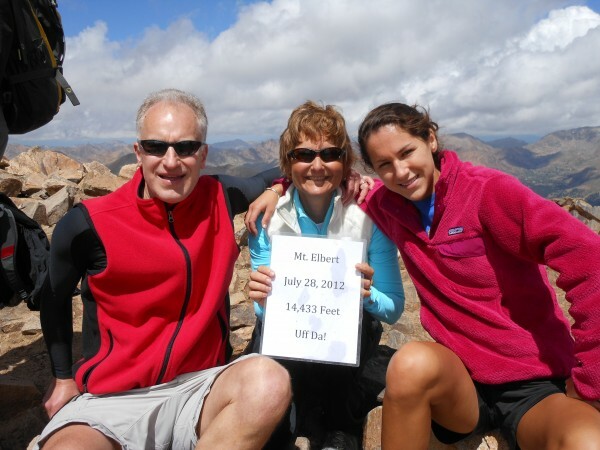 Elbert is the highest mountain in Colorado, highest in the Rockies, and second highest in the contiguous United States. 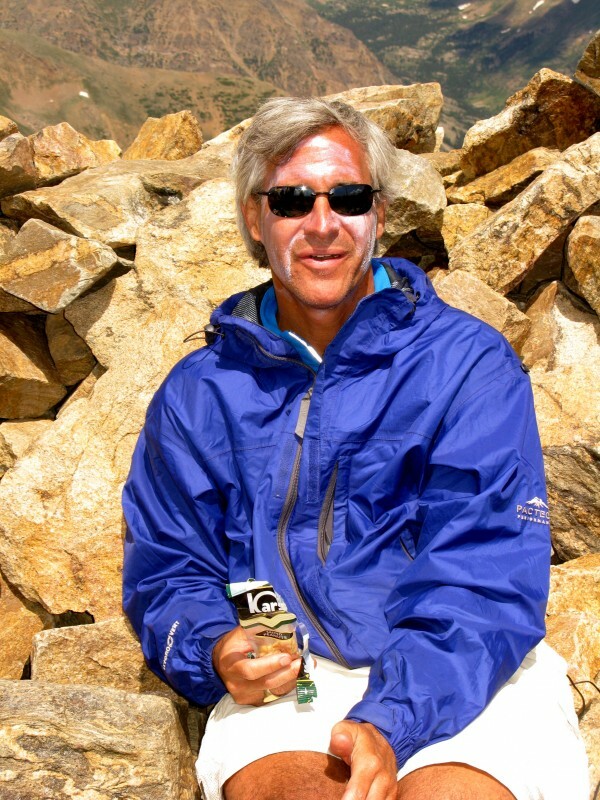 But when you ask a non-climber or someone outside of Colorado, nobody has heard of it. Mt. 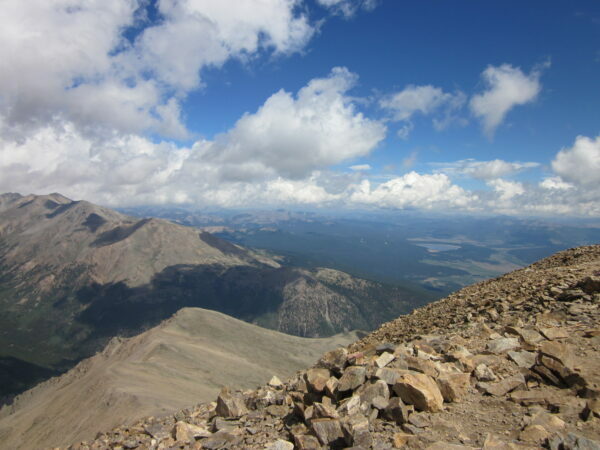 Elbert is located in central Colorado near the little town of Twin Lakes about 40 miles east of Aspen and as with most Colorado high peaks, June through September is considered the summer climbing season. During the summer months, violent thunderstorms are a daily occurrence. 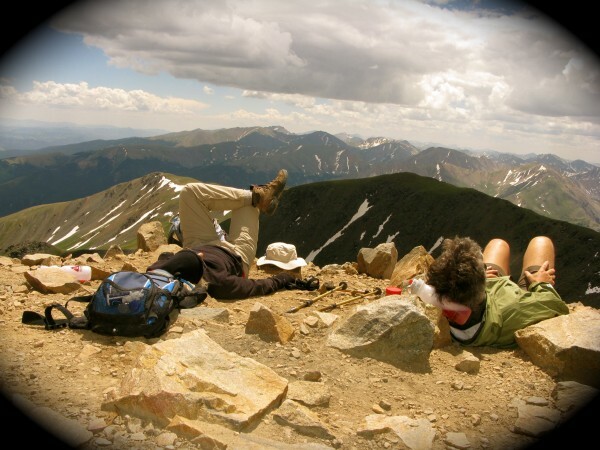 We always plan to be off the summit or ridges by early afternoon to avoid lightning danger. 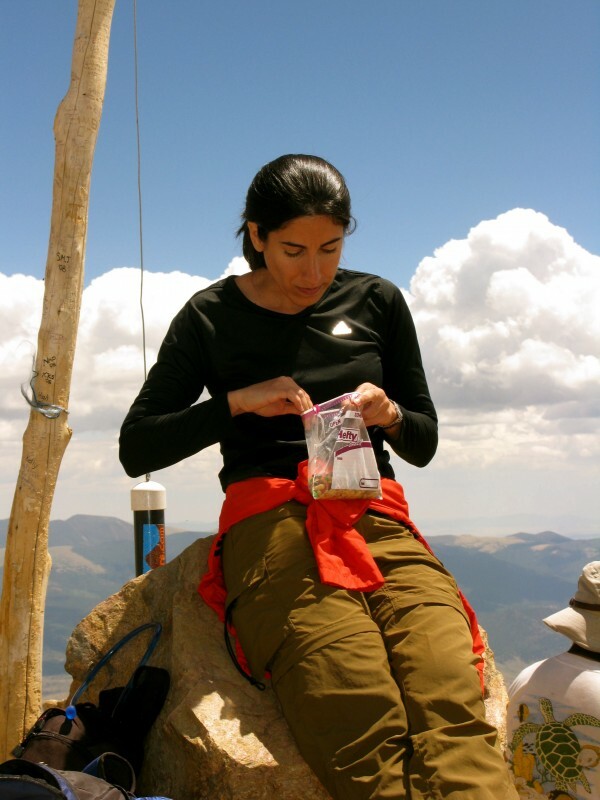 Start very early and allow 6-8 hours for climb and descent. 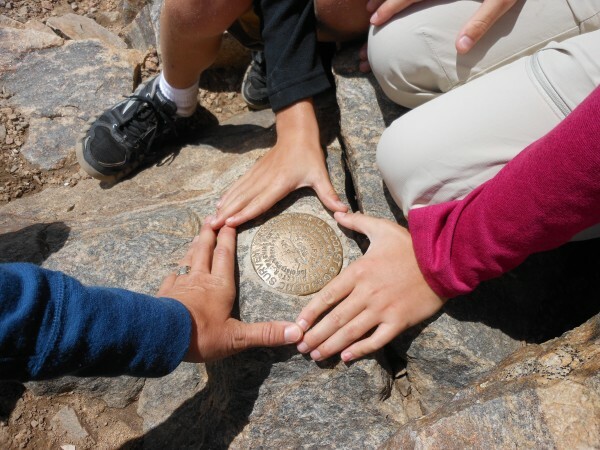 Most of the trails to the summit are well maintained and easy to follow. 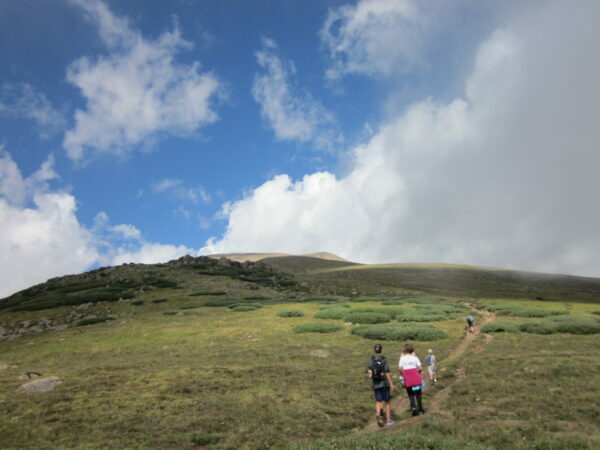 In fact, in some sections above tree line, the trails have become multi-trails where people have started new ones to avoid the deep ruts of the old trails. Try to avoid starting new trails and stick to the established path to minimize impact. 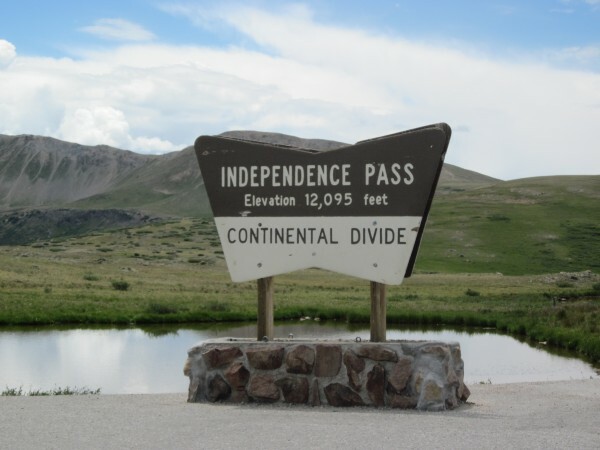 Tree line is at approximately 12,000 ft; therefore, you have about 2400 ft of climbing in weather-exposed terrain. Ok for us we left the Hearthstone at 6:30 with our group of devoted Atomic Strike Force Team (ASF) members. On our 40-mile drive to the trailhead we passed since morning shots of fog flowing over the ridgeline of Independence peak and saw some Colorado Big Horn sheep. After a nice decent into Twin lakes we drove to the parking lot at the trail head start.